Hiya crafty peeps! Happy Monday morning (if there really is such a thing, lol)! 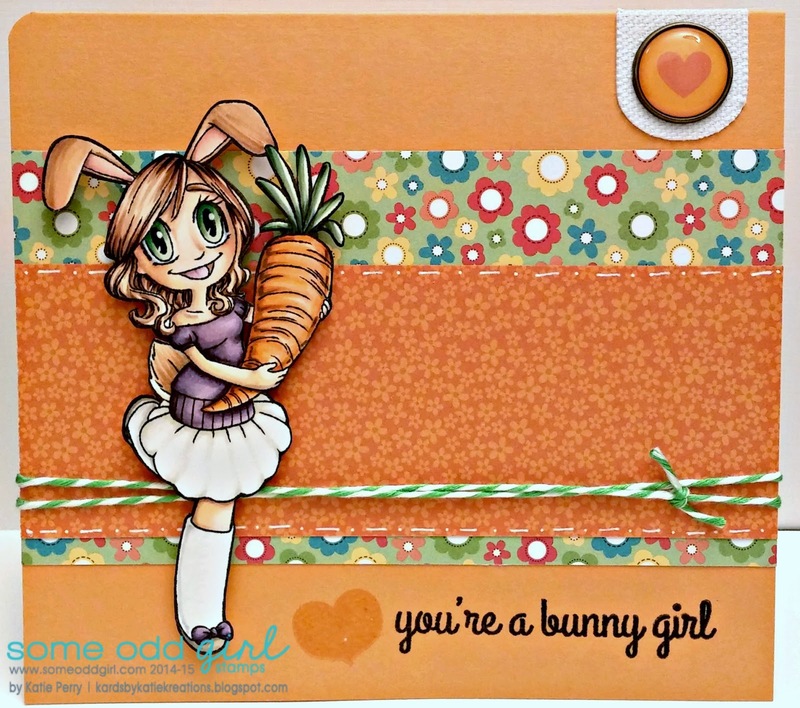 I'm super excited to be sharing the new clear release that's happening over at Some Odd Girl with you- today we're taking a peek at Bunny Girl Gwen :) I absolutely love this image to pieces- it's super fun to color and totally versatile with the sentiments that Kristy has included. Plus, with Easter on the way you really can't go wrong with her this time of year. I've paired her with some bright and colorful papers and a few little embellie's like that super bright green bamboo twine that you will also find in the Some Odd Girl store! I hope you love her as much as I do- make sure to pop on over to the SOG blog to check out some more amazing inspiration from the new Clear Design Team plus a chance to win. And stay tuned because tomorrow we'll be showcasing the other new clear set being released this week :) Thanks for stopping by to visit! Love this fun and bright card!! Fab card. Love the colours. 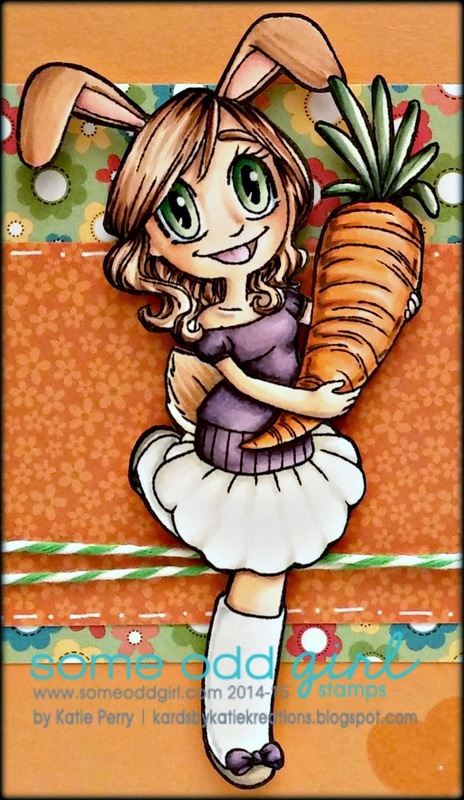 Fun card, love your coloring! This is so pretty, fab coloring! You are so talented!!! Love your coloring!